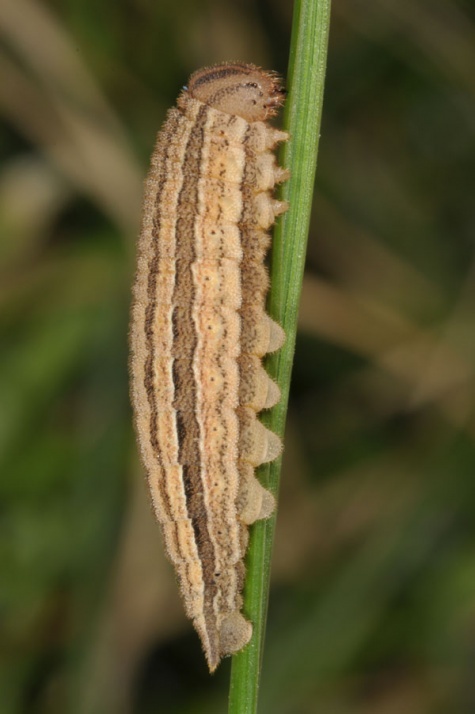 The larva feeds on grasses of the higher mountain ranges such as Aira and Agrostis species. 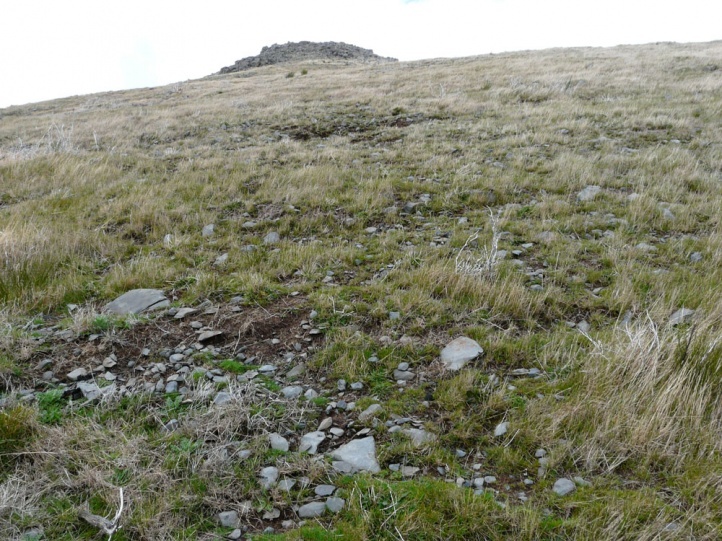 Hipparchia maderensis inhabits open, often grazed slopes and also plateaus with stones or rocks and grasses above 1000m above sea line. 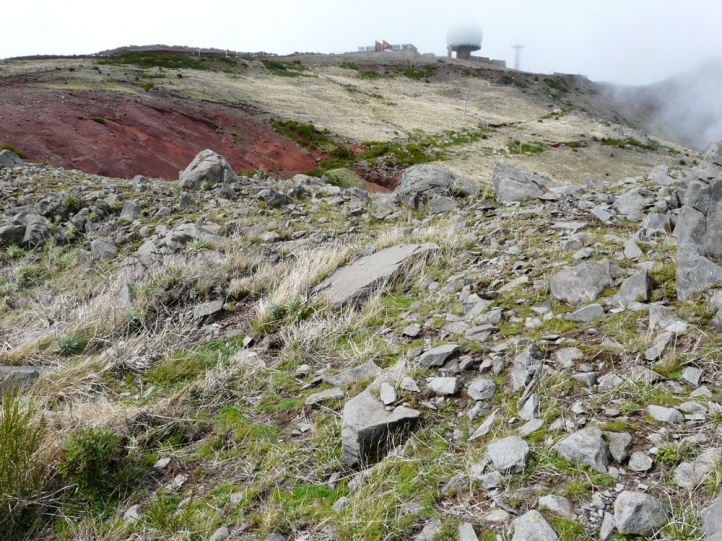 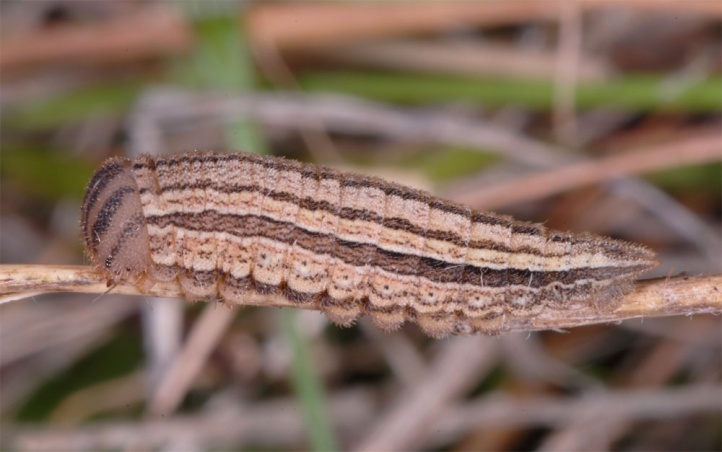 I observed the larvae quite numerous on Pico do Arieiro between 1700 and 1800m asl and on the Paul da Serra (1500-1600m asl) in sunny, quite dry, stony areas where the grasses grew partially in denser clusters. 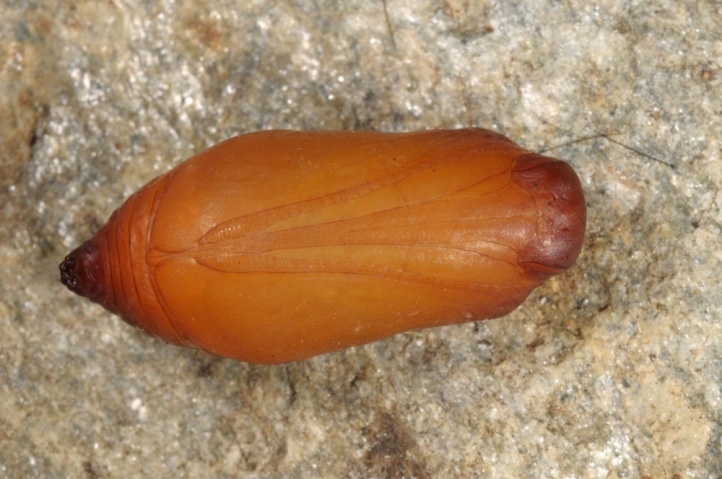 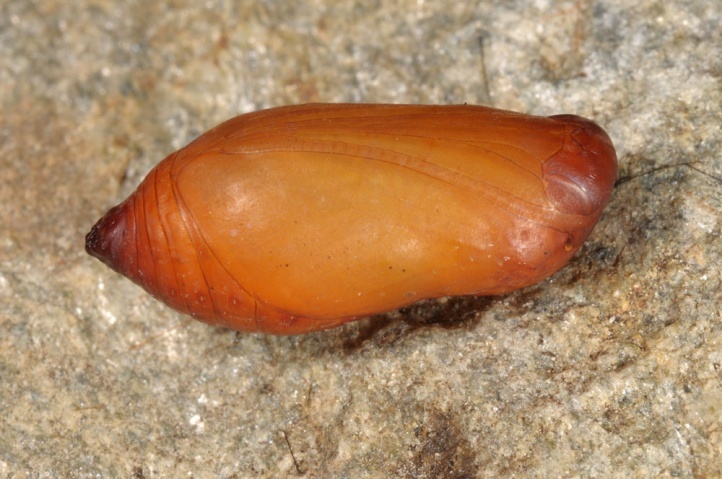 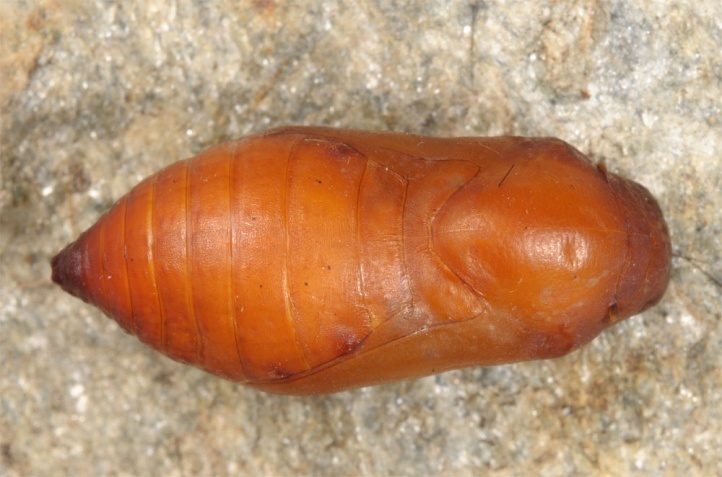 The larva hibernates quite small. 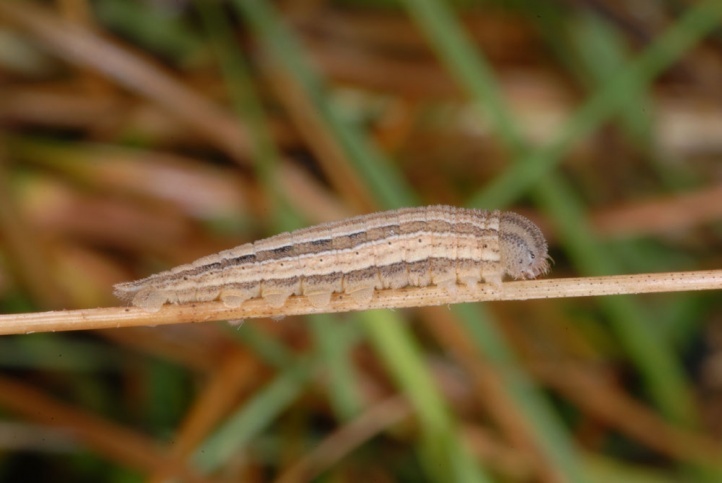 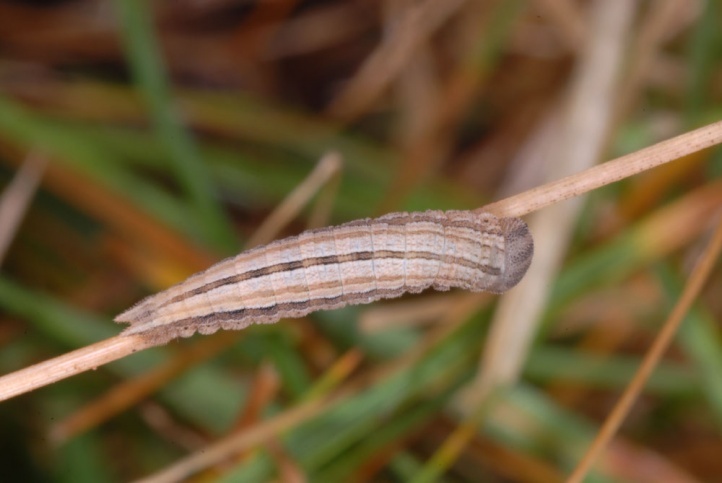 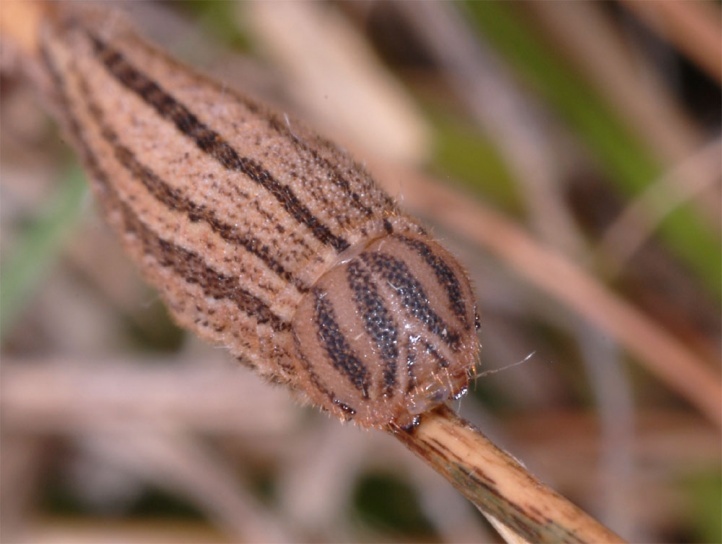 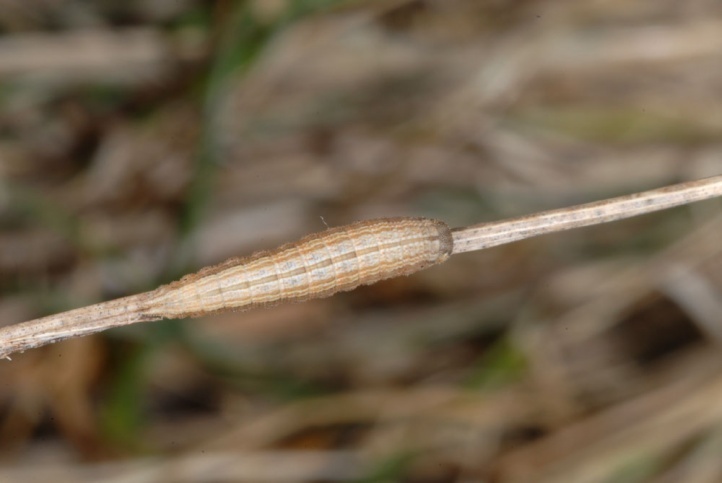 I observed them already active in March and in the hibernation instar or one instar later in the grass tussocks in higher concentrations (over 30 larvae observed altogether). 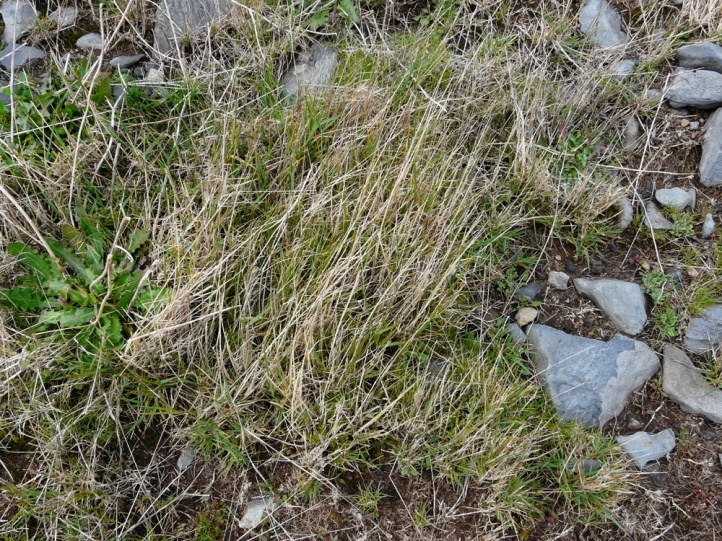 They are also found in quite dense grasses, but the maximum was reached in only medium large tussocks which had open ground or stones in their vicinity. 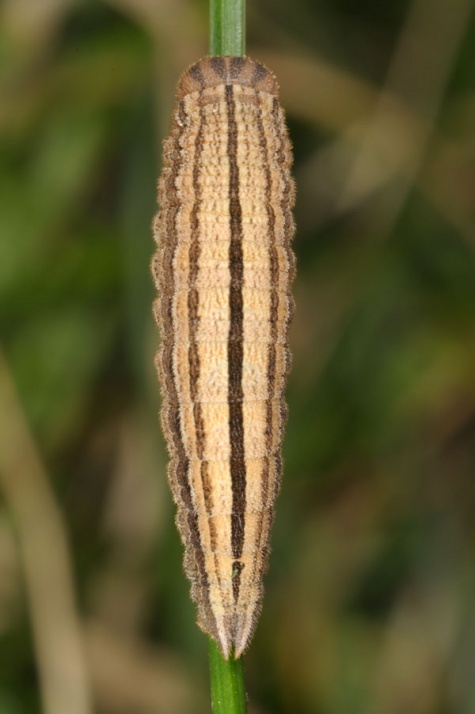 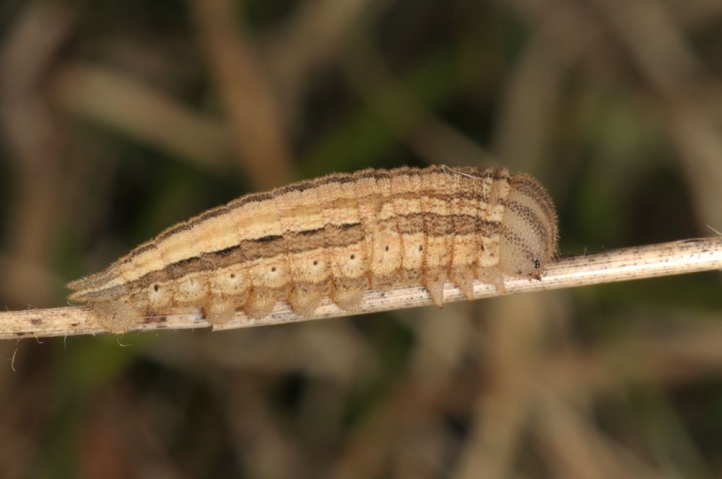 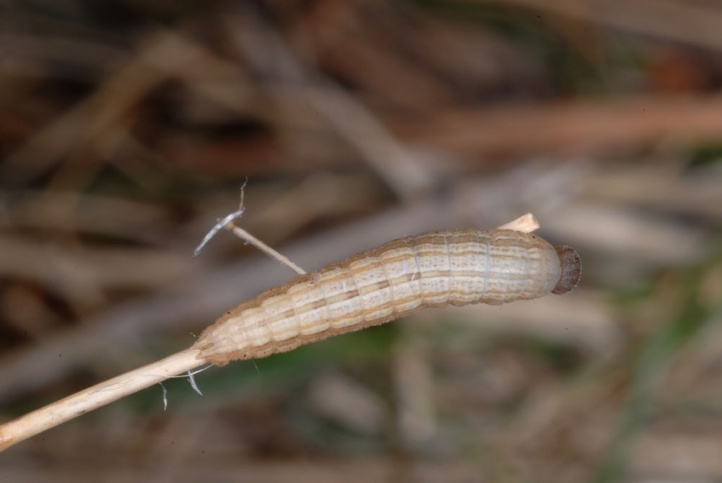 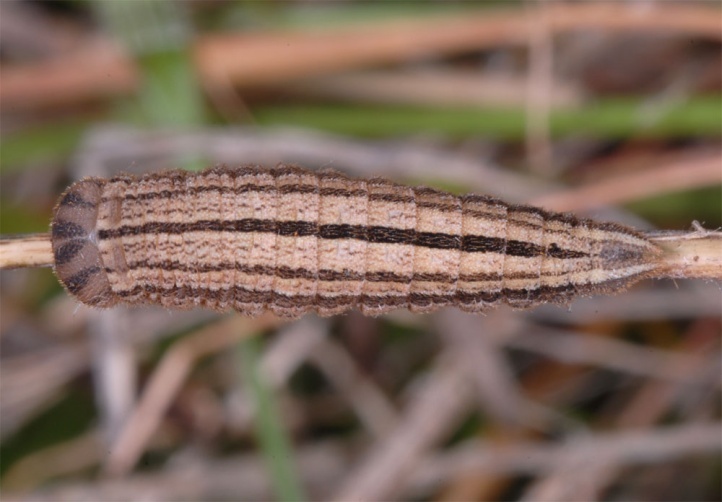 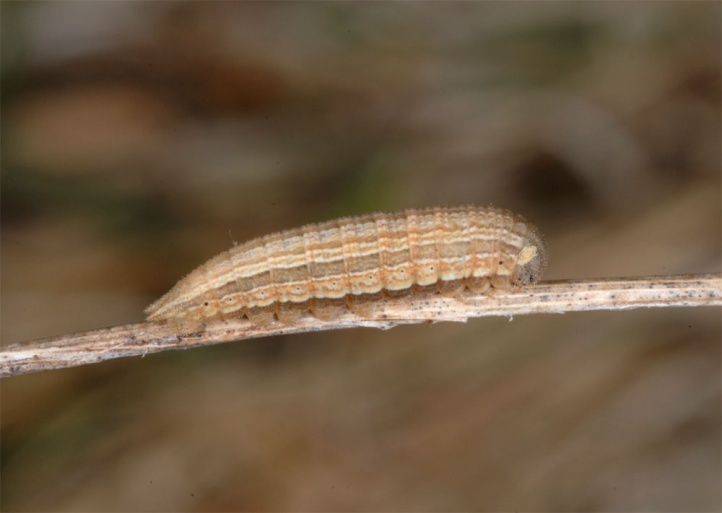 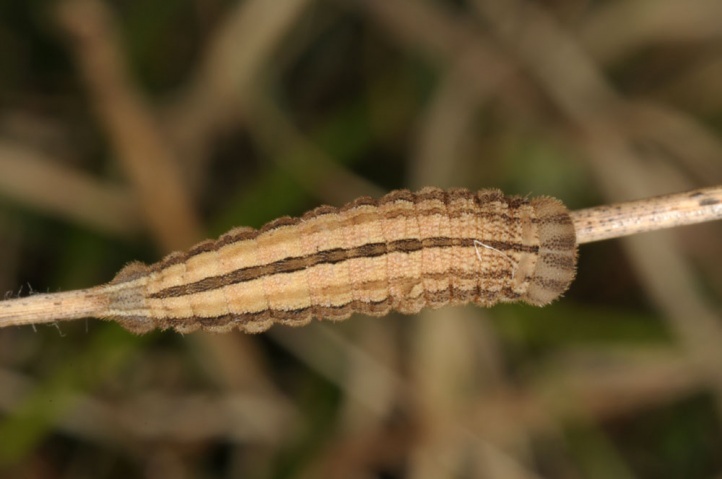 The larva may be mature in late April and May. 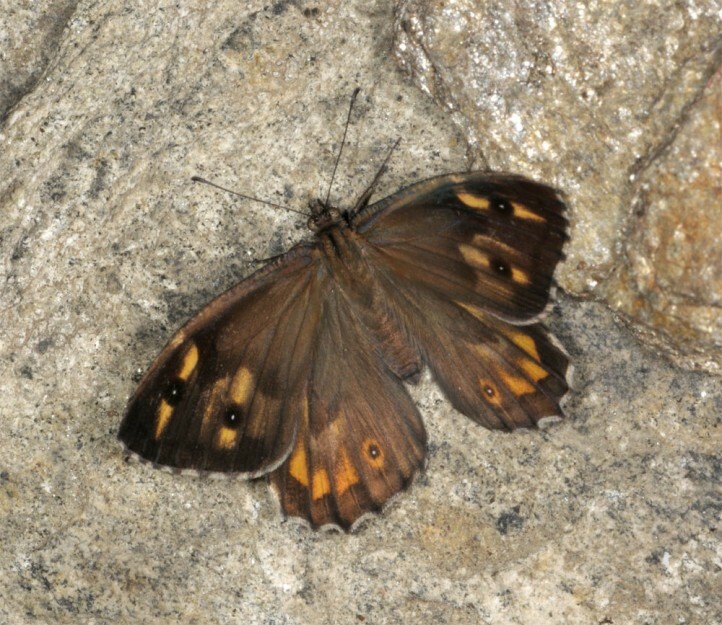 The adults are on the wing in summer. 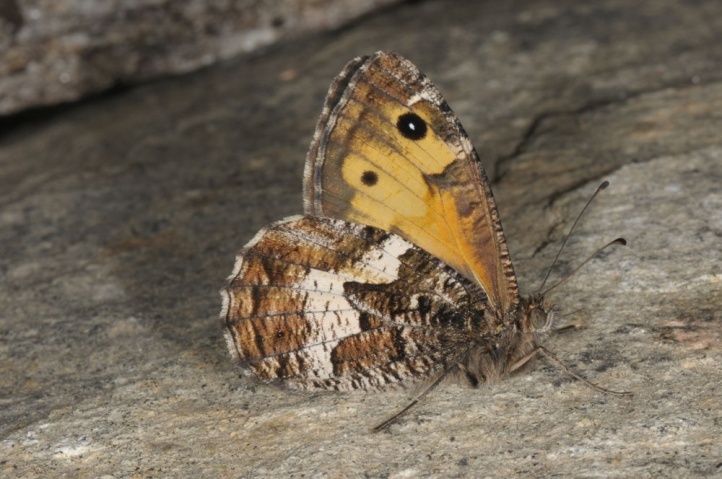 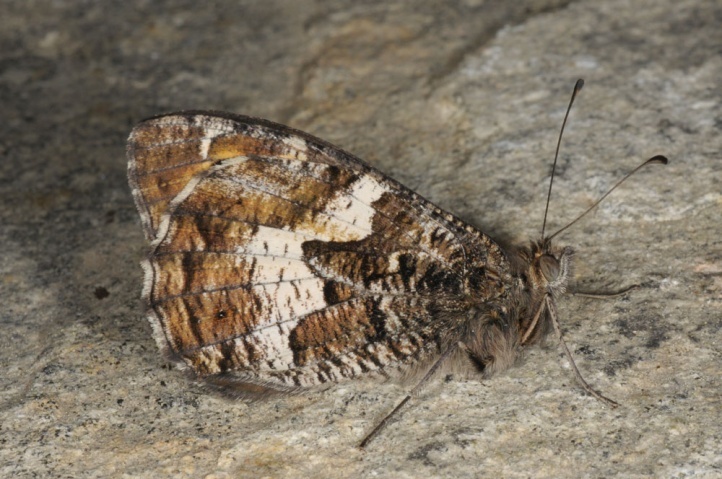 Hipparchia maderensis is currently only slightly endangered. 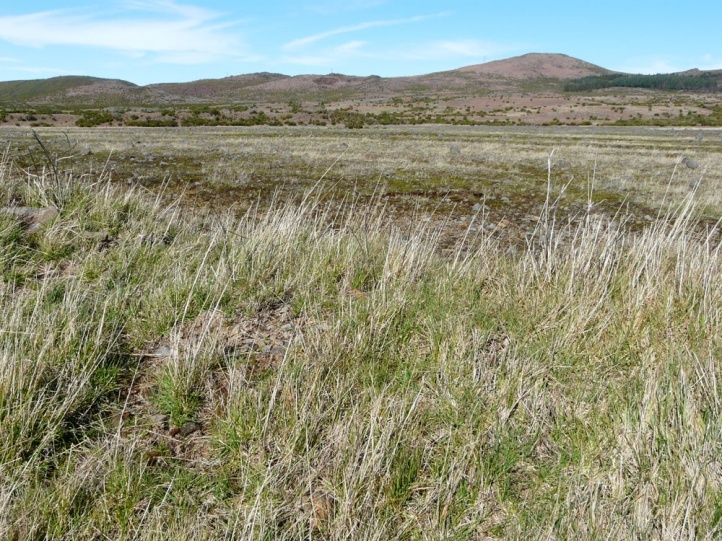 It can be pushed back through abandonment of a extensive grazing with cattle, but also through infrastructure development or afforestation attempts. 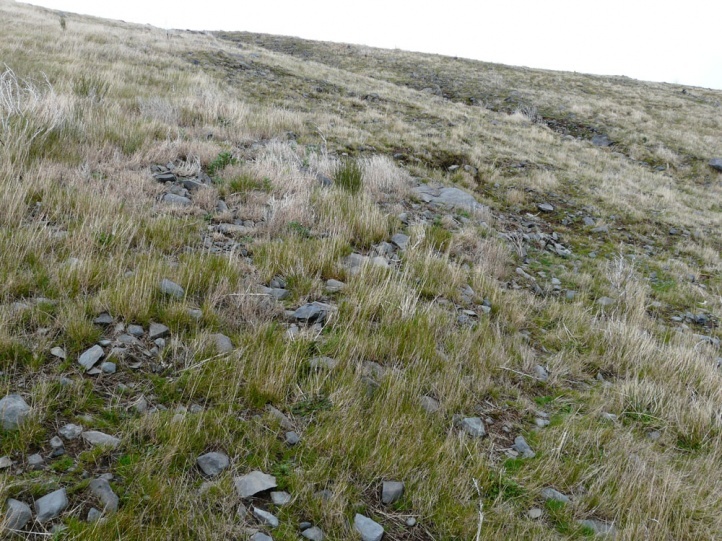 It is promoted by bush fires as they provide open grassy slopes. 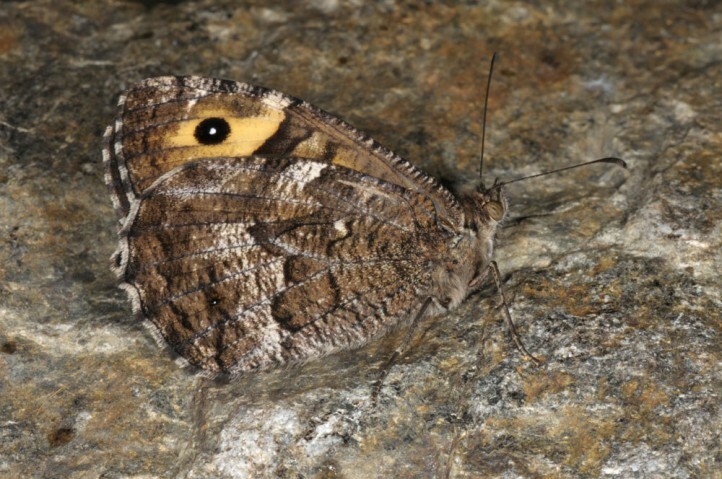 Hipparchia maderensis is endemic to the higher elevations of Madeira.